The Cardiff Music Award show at Tramshed Cardiff on Thursday 30th March 2017 was that rare combination of inspiring, exciting and great fun. The atmosphere was electric with over 400 attendees present. Tramshed’s main room was filled to the brim with talented individuals from the local music scene, local businesses and from further afield as well – a true testament to how strong and supportive the Cardiff music scene currently is and the night really marked its growing place in the UK and the world. On the night CHROMA kick-started the award show with an amazing set, proving they’re a force to be reckoned with – picking up the award for Best Breakthrough Act later that night. Johnny Cage & The Voodoogroove had everyone on their feet halfway through the night for a fantastic musical interlude and Astroid Boys gave an outstanding headline performance, as always, following their win of the Best Group award. Following the awards Best DJ winner Ransom and the locally prominent Bodhi concluded the evening with their DJ sets in the cocktail bar, encouraging dancing to the early hours. 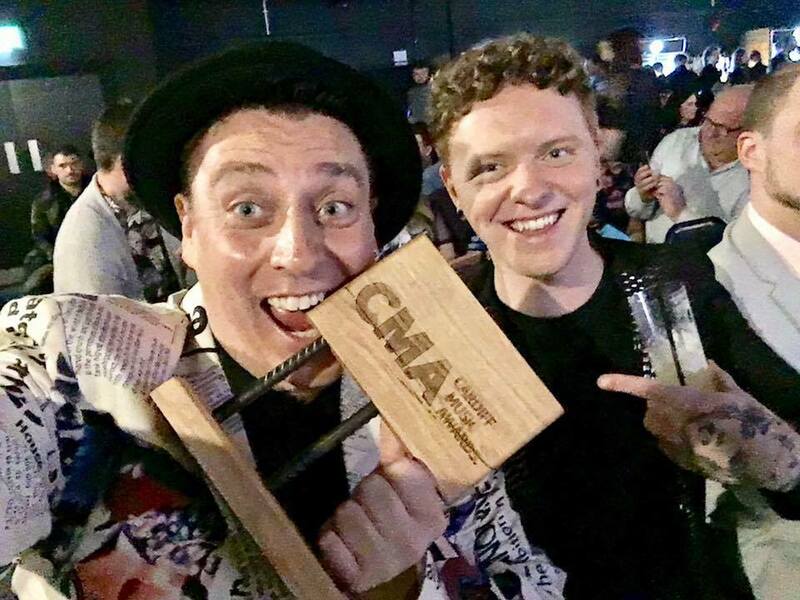 The awards themselves were hosted by Made In Cardiff’s Thomas Anthony Evans, who worked with local events & marketing group River & Bear to work through a staggering twenty awards and a hundred nominees. The awards were presented by a number of Cardiff personalities including the BBC Radio DJ Bethan Elfyn, WalesOnline’s David Owens, Taliesyn Kallstrom from internationally touring band Estrons and many more. Here’s a list of all the winners from the night.